Industry disruption is all about learning from the past and improving on it with innovative ideas. 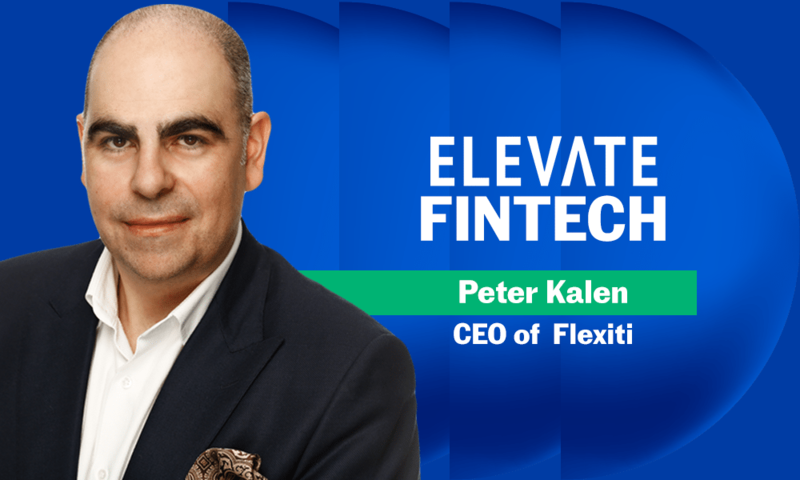 That’s what Peter Kalen, CEO of Flexiti, set out to do when he founded his fintech startup in 2013. This week at Elevate, Canada’s largest tech and innovation festival, Kalen and other speakers are sharing how fintech is disrupting the traditional financial services model. Kalen will explore the consumer lending space through the lens of his entrepreneurial experience with Flexiti, a company that provides digital retail lending solutions. With the goal of using technology to simplify the consumer lending process, Kalen left a successful career in traditional finance to enter the startup game. His background allowed him to approach lenders with confidence. “Part of my ability to secure funding was based on my experience in the industry,” Kalen says. He also knew that simplifying the existing consumer lending process required operating outside of the existing framework. “We built our credit strategy ourselves and sought lenders that would buy into it, as opposed to letting lenders tell us what their criteria were,” says Kalen. This approach had its own challenges, but Kalen and his team knew it would differentiate Flexiti from other existing solutions. Flexiti’s lending process is completely digital: customers can apply for a private label credit card in-store or online, completing the application on an app or at the point of check-out; approval takes only minutes, at which point they can complete their purchase. Kalen and his team have used technology to transform the cumbersome, paper-based process of consumer lending into an efficient, digital system that can be used for both brick-and-mortar transactions and ecommerce. Kalen felt that innovating around the traditional credit card model was the right approach and that credit cards aren’t dying quickly as some have predicted. He cites the Chase Sapphire, a credit card made of metal that was so successful at first, Chase ran out of the metal necessary to make the product. Kalen understands that a solid understanding of where the industry has been and where it is going will allow entrepreneurs like him to create sustainable change. Kalen and other thought leaders are speaking at Elevate, on now across downtown Toronto until Sept. 27.